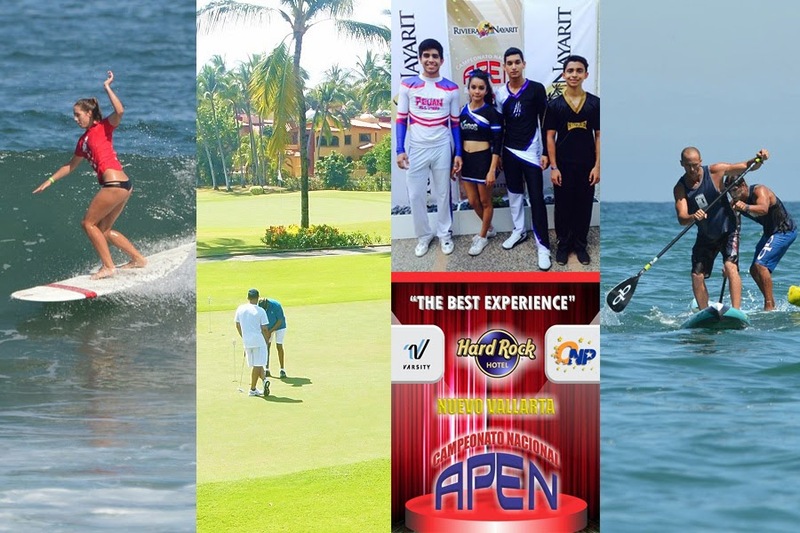 Last weekend the Riviera Nayarit reached and surpassed its goals for three sports events that clearly displayed the destination’s capacity, infrastructure and organization for hosting this type of national and international sports events. Whether on-site at a hotel, on a golf course or beachside, the Riviera Nayarit has what it takes to organize and present top-notch groups and events. With the successful completion of the Punta Sayulita Longboard & SUP Classic, the CANAMEX Riviera Nayarit Flamingos Cup and the APEN All Stars National Championship, the destination proved that it can and does host both national and international sporting events. Sayulita experienced its fifth edition of the most important surf tournament in the country. This hippie chic seaside town was filled to the gills with competitors and visitors who stayed in every manner of tent, villa, bungalow and hotel available, leaving no bed unfilled. To see the tournament results, click http://puntasayulitasurfclassic.com/. The Flamingos Golf Course hosted North America’s top golf tournament, where Canada took the lead in two out of three formats and added up enough points for a win at the end of the event. There were no winners for the hole-in-one with the Honda CR-V as a prize, but that was no deterrent to the lively socializing that took place among the three countries and the large contingency of golfers from the United States, Canada and Mexico that visited the Riviera Nayarit to enjoy one of the best golf courses in the country. Nuevo Vallarta showed off its fantastic hotel infrastructure by highlighting the Hard Rock Hotel Vallarta, which took on a family atmosphere during one of the cheerleading world’s top three tournaments in Mexico. Over 125 rooms were booked and more than 1,000 guests filled the hotel, making the event a resounding success. Afterwards, the organizing committee mentioned its wish to return to Mexico’s Pacific Treasure for next year’s event. To peruse the complete list of results please visit the official Cheer APEN All Star Mexico Facebook fan page. The cooperation and experience provided by the Riviera Nayarit Convention and Visitors Bureau to offer and organize the necessary services events of any kind is readily available whenever the results are of a positive nature for the destination and its inhabitants, thanks to the important economic benefits it can have for the region.